Compact multi gauge wire stripper with comfortable vinyl grips. Screw adjustable to preset wire size. 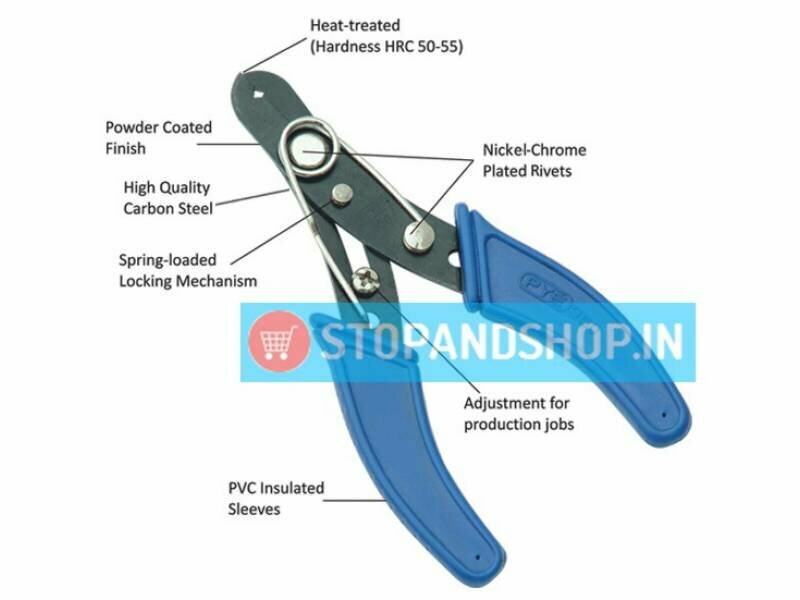 Medium carbon alloy steel material with induction hardened & tempered edges.